Two years before Microsoft's Kinect made its way into stores, Apple filed a patent with the U.S. Patent and Trademark Office for similar sounding technology. The "Advanced Sensor-Based UI" application, first highlighted by Patently Apple, was among 41 "new" patents granted to the company today. The invention, originally filed in 2008, calls for one or more sensors in the bezel of a display that would enable users to scroll, select and zoom using gestures from across a room. Even more interesting are examples in which the sensors could automatically transfer from "mouse" mode when the user is near to "gesture detection" mode when the user is far away. Brightness could also be automatically set based on a user's distance from the screen, according to the theatrical examples laid out by the patent. The use of gesture-controlled sensors could apply to Apple's line of existing products like the iPhone, the iPad and Mac computers. 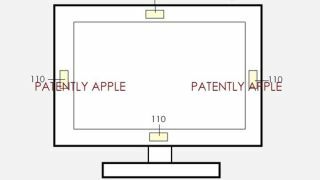 The patent doesn't drop any new hints as to whether Apple is interested in making the long-rumored Apple iTV. However, that could be because it was filed five years ago. "Back in 2008, a TV wasn't a priority with Apple," noted Patently Apple. "Yet this technology could equally apply to such a device if Apple wanted it to in the future." Apple's newly awarded "Advanced Sensor-Based UI" patent may not even make it into a single one of the company's products in the end, even though it has had its fingerprints all over sensors recently. If your hands are really tired, Sony may have a VR unit it wants to sell you.